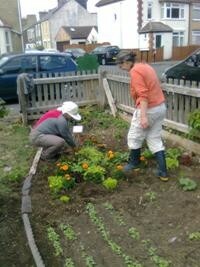 Community growing spaces are on the increase, and rightly so. People have become removed from their natural surroundings and isolated from their community while the land around their homes has become denuded and unhealthy. Community growing spaces address all these problems in the nicest way possible. Starting a community growing project. Starting a community growing project is a big undertaking but one that is exciting and worthwhile. You need all the help you can get. Here is an outline of the sorts of things you should be thinking about to help you on your way ( Mindmap of Community Growing Spaces – Planning ). You do not need to do all these things but it is a good idea to think about them. If you have any ideas you think should be added to the mindmap please let me know. When designing the actual space there are literally hundreds of things to think about and as I continue to learn and have ideas I add them to my own mindmaps which you are welcome to look at ( Mindmap of Community Growing Spaces – Design Considerations ). It looks scary but most of it is common sense. Some of the branch titles may not have a clear meaning to others but in general it will give you a good idea of the things you might want to consider and discuss. 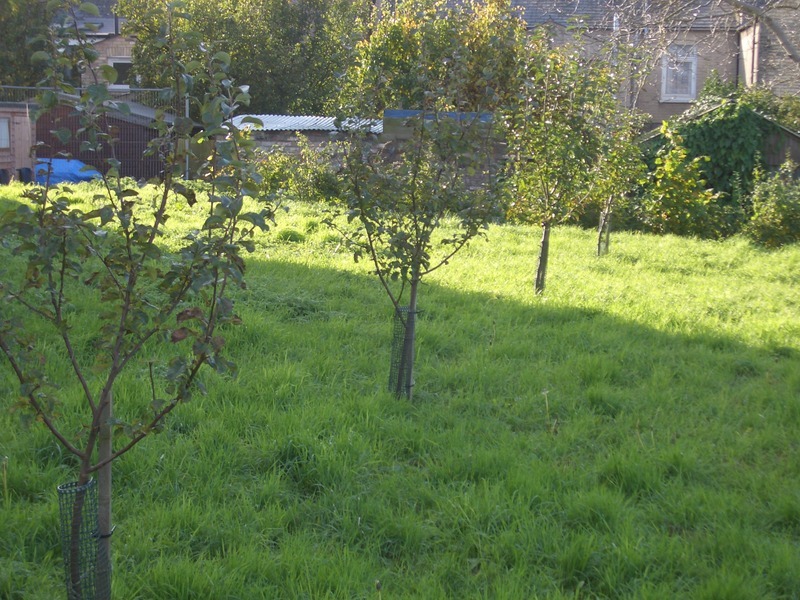 If you are desgning a community orchard there are a number of other issues you should also consider (“Mindmap of Orchards – Design Considerations” ). The paperwork that one has to do for community projects is tiresome and time consuming, It is a thankless task. Here are some outlines that I wrote for Community Gardens running on Permaculture principles. These are for your guidance only and Verdant Earth/I cannot accept responsibility for any faults or omissions in these outlines. If you have any experience in such paperwork and ideas for improvements please contact me. Community growing spaces are important. Community growing spaces are not just places for growing some fruit and veg, they are places of opportunity for people and the environment. Community growing spaces build and nurture community cohesion and foster a sense of neighbourhood identity and ownership and promote collaboration. People mix in diverse groups of age, class, culture and outlook, in doing so they form friendships and bonds which would be unlikely in other situations. They learn a wide range of skills and absorb new information in a natural way, importantly they also learn about the other life that shares their neighbourhood and so gain a respect for it. Community gardeners become more healthy, both physically and emotionally, they broaden their views in all sorts of areas, become more confidant and enjoy themselves. The environment also blossoms, community growing spaces usually demonstrate sustainable methods of food production which do not deplete or contaminate the soil. Many urban developments have taken over agricultural land. Community growing spaces partially redress this with the gardeners growing their own food, food that does not involve transport, refrigeration, chemicals and packaging. This is good for both the environment and those eating the produce. 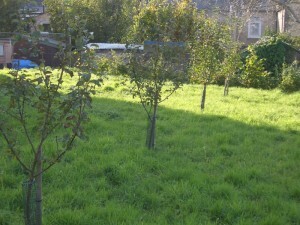 Community orchards are a great asset for the general public as well as for those who look after them. Just being able to walk through an orchard on your way home from work, enjoy a picnic under the trees on a sunny day or pick an apple as you walk into town are simple pleasures – but rare pleasures for so many of us. 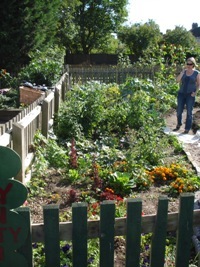 Allotments are also a great addition to addressing the issue of sustainability and health. They too foster community cohesion but are less intimate. For many people they are better than a community garden or orchard, giving a place for working in solitude, quiet thought and independence and should also be included in any new development; preferably alongside a community garden and community orchard. However for those who have to be away for long periods or do not intend to be permanent residents the community garden is better than an allotment. Tools, watering and weeding are shared and mature plants such as berry bushes and trees are constantly maintained and so always available giving people more diversity of produce as soon as they arrive, there is greater flexibility with gardening time requirements and a long term commitment is not required. Your community growing space should be a welcoming place that is healthy, safe and pleasurable. A place that reflects the community as well as involving and serving it. However there are hundreds of ways to create and run a community growing space so choose what is best for your space, your situation and your community.